Fresh organic locally grown fruit and veg is what you can find at our markets every Sunday. You can come buy your weekly organic grocery needs, then sit back in the morning sun with your family or friends and enjoy a juice, tea, coffee, chai or kombucha with your organic breakfast – vegan and gluten free options available. Some of you may like to engage in philosophical discussion at Ollie’e Tea camp. Some of you may like to have a massage, healing or tarot reading. Some of you may want to check out what Spring seedlings are on sale in the City Farm Nursery. The kids will definitely want to hang out at the earth arts area! There’s often community stalls and artists coming through Brisbane, so it’s great way to be informed about local issues and see some beautiful hand made things. Sunday mornings are always easy at Northey Street for the whole family. When are the Northey Street Markets Open? 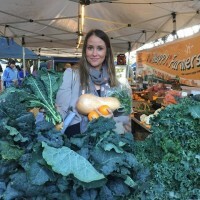 Every Sunday from 6am to 11am at Northey Street City Farm, Windsor, Brisbane. There are a wide variety of organic produce stalls, meat, seafood, dairy, bread, eggs, honey, ethical gifts, health and well-being services, kids activities, the City Farm Nursery, coffee, tea, juice, kombucha and chai with your scrummy breakfast. Public Transport is closeby with the Windsor Train Station and the RBWH bus station both within walking distance. There are plenty of spaces to lock your pushbike. For parking look for the yellow gates opposite the Farm on Northey Street. Car parks in there will be open until 1pm. There is also on-street parking but it’s time restricted (there are parking inspectors so be careful if you park out there).